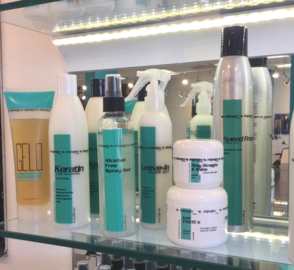 We offer a wide variety of hair care products to suit all your needs.Starting with our own hair care products that were formulated and specifically designed to perform under the Florida high humidity and hard water, also protection against the harsh rays of the tropical sun. 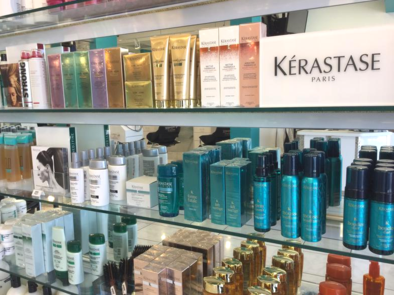 In addition, we feature Kérastase products; the problem solver and maintenance solution for all hair types and conditions, performing with deep treatments and masks that produce amazing results on even the most severely damaged hair. Our new blow dry formula. Conditions, shines & gives extra body.